Our Labor Day has been nice. Eric worked, so Caleigh and I hung out doing the same old things. We had therapy, went for a run, painted and ran through all of the equipment at least once. Regular day for us. Today was Caleigh's last day on the antibiotic Flagyl. Ever since we came home from vacation the bacteria in her intestines has been giving us a run for our money. We did Xifaxin and then Flagyl. We went off for about a week and then had to return to the Flagyl. She has only been lasting about 3 days off of the antibiotic without symptoms returning. We are hoping that this lastest round did the trick, but unfortunately Caleigh's tummy looks bloated and larger than normal. Signs that it hasn't. Something is off, but I just can't put my finger on it yet. Since we have returned home Caleigh's enthusiasm in walking, driving, sitting etc. seems to be non-important. She just went through a heavy sleeping pattern where she was sleeping 14-16 hours a day. At first we thought it had to do with the bacteria, but we're pretty sure she was having another growth spurt. Each time this has happened we have to start over in the physical department. Dystonia and growth do not go together. So right now she is struggling and seems frustrated easily. We are hoping this will pass. We took Caleigh to the dentist last week. She was a rock star. She doesn't bite the hygienist anymore and seems to enjoy the attention. Caleigh grinds her teeth, but we were told it isn't that bad yet. They also leave a calcium buildup on her molars to protect them. So far it is working. Caleigh is starting to have some enamel deterioration due to her vomiting of stomach acid. Bascially she is developing the teeth of a stereotypical bulimic. There really isn't much we can do other than brushing after each vomiting episode. I keep telling myself... it's just baby teeth, it's just baby teeth. Don't sweat the small stuff, but deep down I want our girl to have a pretty smile. Caleigh also had a nephrology appointment this last week. We haven't taken her blood pressure in forever so the night before our appointment I broke it out and took a reading. I got a normal pressure and then breathed a sigh of relief. We basically went into the appointment and told the doctor that we were breaking up with him. 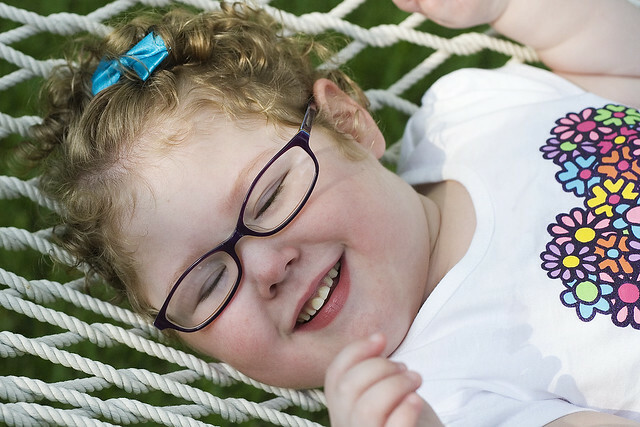 It's been nearly 2 years since Caleigh has needed blood pressure medicine. She never really had a heart or kidney problem. The thought was that her intestines made for a full and tight abdomen causing her pressures to be high. Also a big factor was pain. If your in pain, your pressures will be higher. So the doctor agreed and we left mutually agreeing on the break-up. We are still working on using the Tobii communication device. Caleigh is doing well with it and asks to use it everyday. It's a tricky thing, the eyegaze, but I think the fact that she asks to do it means a lot. She hasn't been very accurate in answering our questions yet. Maybe once or twice. We basically let her pick and choose what she wants. Stringing word after word together seems to please her. Our next ARD meeting is scheduled for this coming Friday. We will be going over Caleigh's healthcare plan and any last minute issues. My plan this week is to finish Caleigh's portfolio that tells everyone about her when I'm not around. I need to get a few more things situated in my IEP binder, but overall I'm not too worried about this one. Tentatively, Caleigh will start school the following Monday if all goes well. Which leads me to something new. Dreams. Caleigh has been having dreams. Good and bad. The iPad has given us the means to know what she is dreaming about. The main theme lately is that she won't be able to talk at school. This thought breaks my heart. She has also been missing her Daddy when he hasn't been around. Easily managed with a phone call. Dr. Google says that dreaming starts around 3-4 years old. So again, Caleigh is probably on target with something typical. This is the time that little ones climb into bed with you and say they have had a bad dream. Our little one can't do that. So waking up crying and not being able to go back to sleep has been hard for all of us. Guessing what has been wrong has been interesting especially with everything else going on. Finally we just asked her. She spelled out "Dream" and the rest is history.